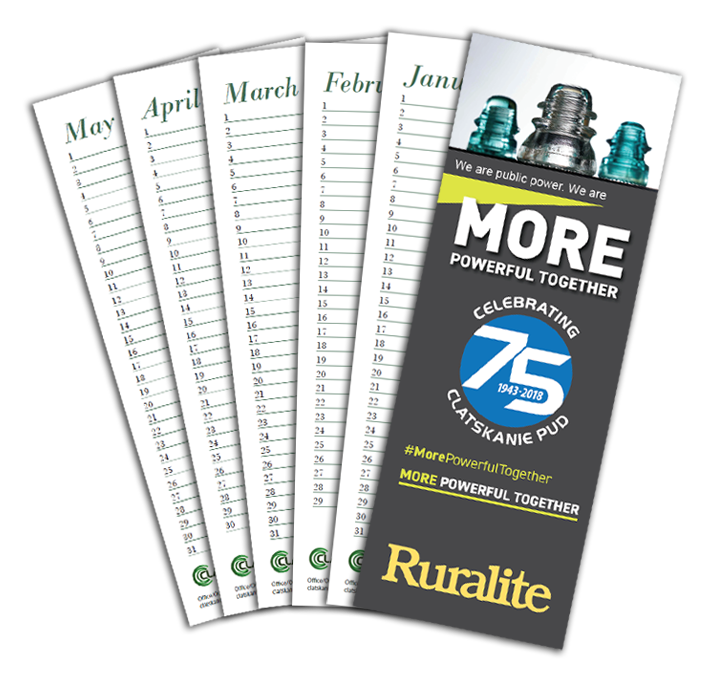 Perpetual Calendars - Ruralite Services, Inc.
To celebrate their 75th anniversary, Clatskanine PUD collaborated with Ruralite Services to create a perpetual calendar for their members. This calendar’s format makes it easy to remember birthdays, anniversaries and other important dates, year after year. Assistant Editor Mike Teegarden utilized the More Powerful Together initiative’s style guide to include an influential message about the importance of public power. Ready to design a custom perpetual calendar for your utility? Let’s talk!